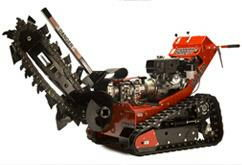 Are you needing to dig a trench to lay cable, pipe, or install drainage? 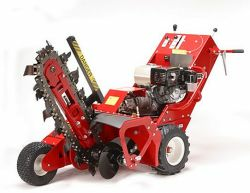 Do you need a trencher and don’t want to buy one? Paisley’s Rental can help! 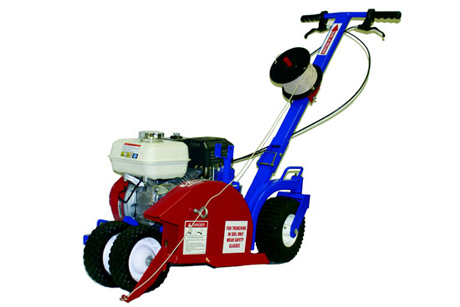 We have a selection of trenchers that can help you get the job done with ease. We have push models, walk behind, and ride models. Call 740-344-3831 for more information on pricing and availability. Walk Behind. Handlebar Steer. 13HP. Weight:900lbs. Length: 83". Width: 35". Height: 46". Walk Behind With Tracks. Steerable. 20HP. Weight: 1625lbs. Length: 92.5" Width: 35.5" Height: 52"